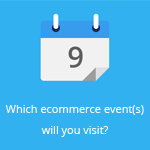 This page contains a list of ecommerce events in Belgium. To see a list of all ecommerce events in Europe, check out our events calendar. If you think an event is missing, don’t hesitate to contact us!